Now at the northeast corner of Central Park, the rocky landscape surrounding the Harlem Meer has a storied history. Join our guides to learn more about how the area has changed over time, the plants and animals that live there today, and how the Conservancy cares for this complex ecosystem. 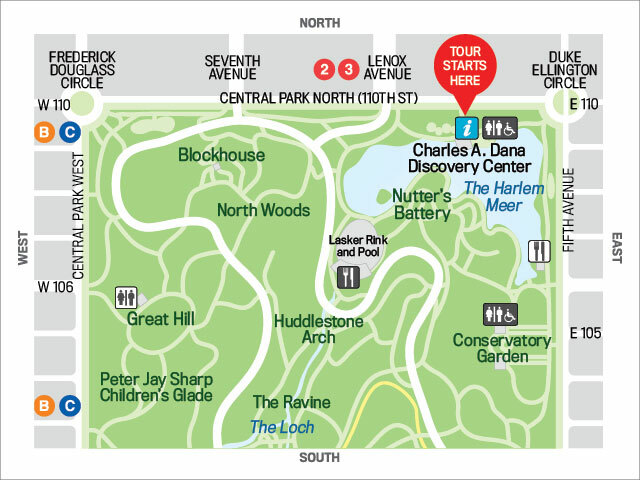 Meet: Charles A. Dana Discovery Center(inside the Park at 110th Street between Fifth and Lenox Avenues). Map of start location.